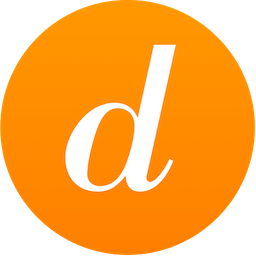 Today, we are activating our paywall to make Dissident a subscription only platform. We have decided to transform our free trial into a guest program. With a trial version, we have to spend a significant amount of energy to convince free users to upgrade. This usually means sending a lots of emails and unwanted messages. In some ways, this behavior contradicts with our vision of a healthy and slow environment. We decided instead that we would spend all our energy making Desktop, Dashboard and Library awesome. Some features, like Cloud to Cloud, have not been made available for free users so they cannot experience the full value of our platform. As a small « boutique » platform, we believe that good independent software should be paid for by its users. It's a healthy model. You are not just paying for a platform, you are changing your digital life by creating a healthier environment for your content and social media. We've decided to keep all our free users as guest of our platform for the year to come so no worries. But if you enjoy our product, it would mean the world for us if you upgrade as a full member. All members and guest have the possibility to invite two friends to join Dissident. Go to our new invitation section to invite them!